Its not a colloquial dialect, its an elegant language with a history of 3000 years, it a fossil for Chinese culture. 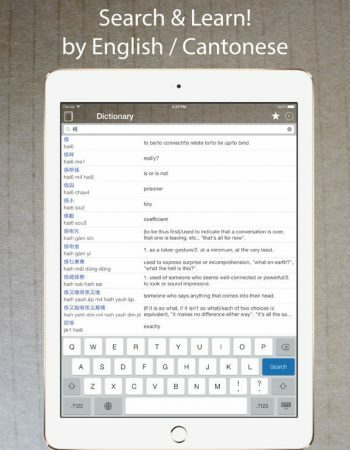 The dictionary depicts Hong Kong as a culture of Chinese orthodox culture and western culture. Price:Mobi version/soft copy: $16 USD; Hard copy: $18.3 USD plus postage. Elegant Cantonese Dictionary aims at proving that Cantonese is an elegant and time-honoured language, by tracing Cantonese characters and phrases to their vintage origins. For each item included in this dictionary, there is also an English translation. Meanwhile, the examples given in this dictionary constitute a kind of folkloristic annal of Hong Kong.